The stars of 'Fantastic Beasts: The Crimes of Grindelwald' Eddie Redmayne and Zoë Kravitz made an appearance on Friday night's 'Children in Need' special edition of 'The One Show' — a BBC One show hosted by Alex Jones. Jones has had her share of crazy moments over the years, but this one truly takes the cake. It all started when Redmayne started sniffing the flowers on the set and then he suddenly stopped one of Jones' questions and told her, "I'm slightly distracted because of the fact that my dad told me to say that he loves you!" Jones seemed very happy and pleased with that remark as she said, "Does he?" She then got befuddled when Kravitz corrected Jones and told her that her surname is spelled as "C-R-A-B-I-T-S". Jones started to worry when the duo started to sneeze one after the other, starting off with Redmayne who sneezed right into the flowers first. 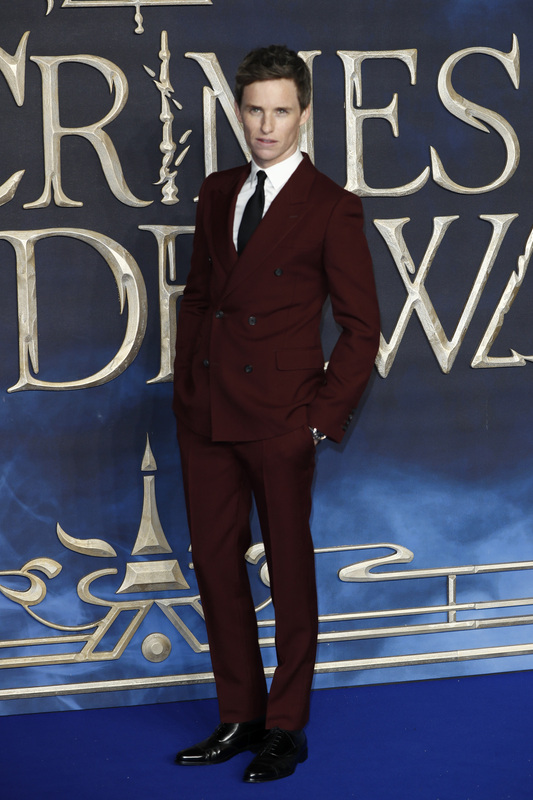 Later, Jones asked Redmayne if he was a big Harry Potter fan while he was growing up. To which he replied, "What I really want to do is arm-wrestle Daniel Radcliffe." After which he took Jones' glass of water and gargled and Kravitz followed suit. When Jones asked Redmayne if he had any acting tips he could share, "Before every scene, I make a noise," he revealed and he made the sound of a goat. Kravitz joined in and the duo started making a bunch of funny sounds. By this time, Jones had figured out that there was some fishy business happening, and she was happy when she found out that 'Children in Need' had some kids telling Redmayne and Kravitz what to say via hidden earpieces. "I'm so glad because I thought, what is wrong with these two?" she said laughing.